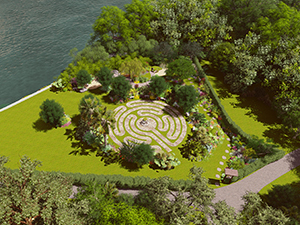 The Friends of Birch State Park has raised the funds necessary to install a meditation garden and labyrinth at the park. 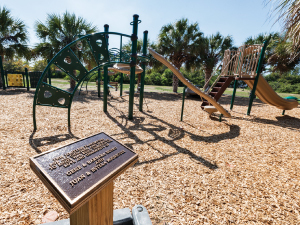 This project was spearheaded by the late Marti Huizenga, who understood the need for a relaxing area within the park where visitors could sit peacefully and enjoy the surroundings. 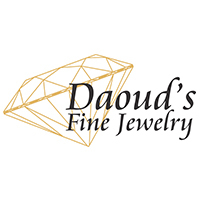 Installation is expected to be completed in early 2019. 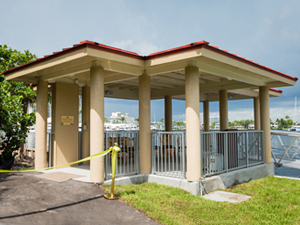 Grant funding secured by the Friends of Birch State Park through the Broward Boating Improvement Program with matching funds from the Florida Inland Navigational District has built a 230’ floating boat dock and welcome pavilion that is now open to the public. 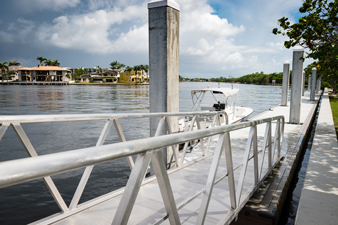 Boaters (30′ and shorter) can tie up to the dock during park hours (8 a.m. to dusk; park fees apply). 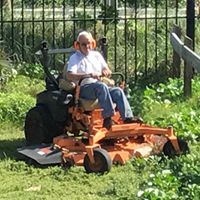 With funding provided by a Community Foundation of Broward “Eco Broward” grant as well as a grant from Bank of America and private donations, the Friends of Birch State Park recently cleaned out the long-neglected moat at the park. 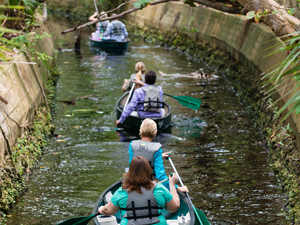 Visitors and wildlife alike benefit from being able to access this historic waterway that adjoins Long Lake. 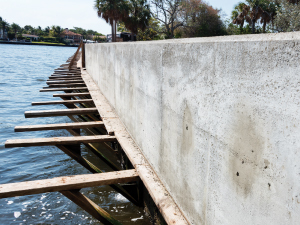 Hugh Taylor Birch State Park is home to one of the southeast’s longest public seawalls. 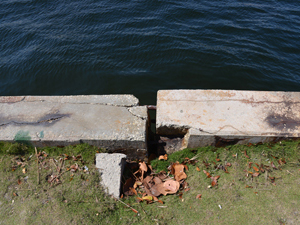 Built by Hugh Taylor Birch more than 100 years ago, the 1.2 mile concrete structure was in dire need of repair. 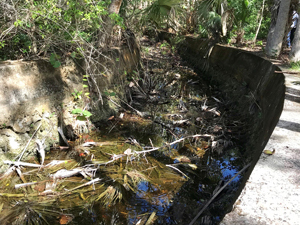 The Friends of Birch State Park applied for grant funding to raise and replace the seawall; construction is currently underway and is expected to be complete in the spring of 2019. 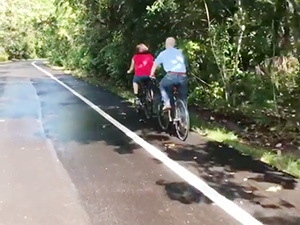 Advocacy by the Friends assisted in the widening of the park’s nearly 2-mile long loop road; now complete, this project provides a safe, striped pathway for use by pedestrians and bicyclists and allows for ample room for vehicular traffic. 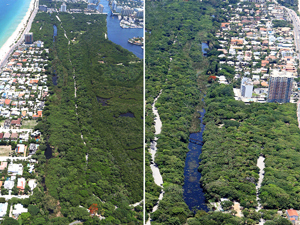 The park’s Long Lake is part of a freshwater coastal dune lake system that once spanned nine miles along the coast of southeast Florida. 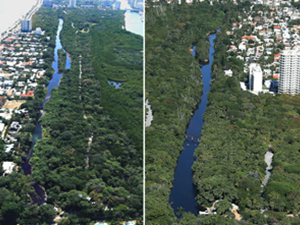 Funding secured by Friends through the Community Foundation of Broward, private donations, Broward County and the City of Fort Lauderdale enabled invasive plant species removal, making the full length of the nearly one-mile lake navigable once again for kayaks, canoes, paddleboards and pedal boats. 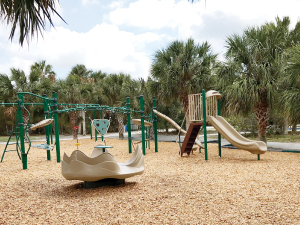 Thanks to the generosity of a local donor, the play area at the north end of Hugh Taylor Birch State Park is now home to a limitless playground that provides entertainment opportunities for children in clear view of neighboring picnic pavilions. 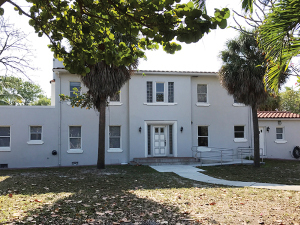 For more than a decade, Hugh Taylor Birch’s historic home – Terramar – was closed to the public. 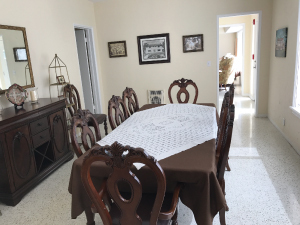 With help from the Friends of Birch State Park, it was restored and is now open as a visitor center where guests can learn more about Birch’s legacy and what it was like to live there in the early 20th century. 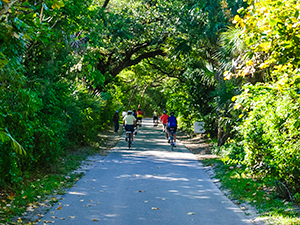 Park & Ocean is a main attraction at Hugh Taylor Birch State Park. 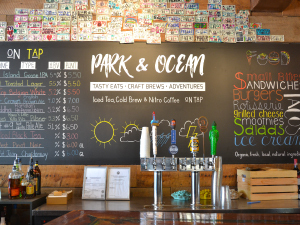 This recently opened oceanfront, casual style eatery features live music and craft beer and hosts the concessions area, where guests can rent jet skis, kayaks, canoes, pedal boats, beach umbrellas and more. Both are conveniently located to the beach via tunnel as well as a dedicated crosswalk complete with traffic signal for safety. 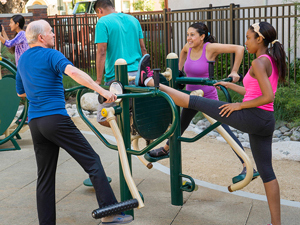 The Friends of Birch State Park is actively seeking funding for state-of-the-art outdoor exercise equipment that will be located around the park’s 1.2-mile loop road. 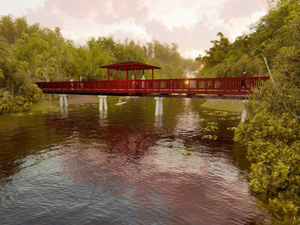 What was once a railroad track that spanned Long Lake will soon become a pedestrian walkway, allowing visitors to enjoy lake vistas and connect to the park’s trail system. 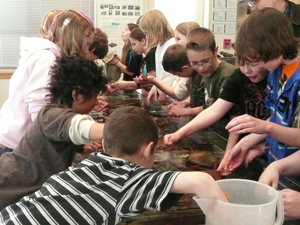 The Friends of Birch State Park plans to fund the transformation of a former cabin into a fresh-air education pavilion for use by schoolchildren visiting the park on field trips as well as summer campers. 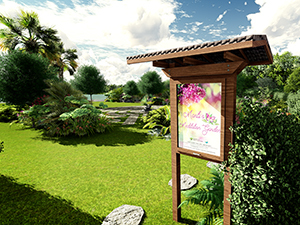 This pavilion will enable the park to expand its environmental educational outreach efforts. 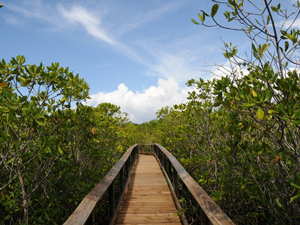 With funding raised by the Friends of Birch State Park, Hugh Taylor Birch State Park plans to construct a raised walkway to provide visitors with an up-close opportunity to explore the park’s thriving mangrove ecosystem. 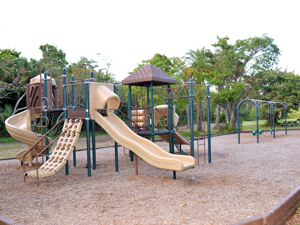 Fundraising is underway for the replacement of outdated and worn-out playground equipment located at the park’s southern playground. 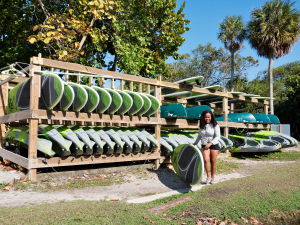 The 80-foot tunnel between the park and the beach will soon be transformed with a colorful and educational aquarium-themed mural painted by a local artist and funded by an “Art of Community” grant from the Community Foundation of Broward.